It's only a long weekend - what could possibly go wrong? In the hilltop villa with its spectacular views across rolling countryside to the straits of Gibraltar, Lucy anxiously awaits the arrival of her brother and sister. They’re spending the weekend together to say farewell to Casa de Sueños, the house in the mountains of southern Spain where they grew up. Her sister, Jo, landing at the airport with her fractious four year old, dreads the prospect of this time with her family which will fulfil their mother’s last instructions that they celebrate her birthday together. Only this time their mother won’t be there. Tom, their brother, remembers the chaos of his bohemian upbringing and wants nothing more than for their stay to go off without a hitch. Then a beautiful face from his past appears at the villa . . .
Over one long, hot week weekend, past secrets will spill out, making the siblings question themselves, the choices they’ve made and where their future lies in this gorgeous new novel from Fanny Blake. When House of Dreams landed on my doorstep, I couldn't have been more excited for bookish mail. It had been three years since I read anything by Fanny Blake (The Secrets Women Keep, 2013) and I was in need of a beautiful, summer Adult fiction read. At first glance, House of Dreams looks like it was; idyllic, mesmerising and gorgeous. But it's far more than it's scenic cover and isn't your typical Summer-y light-themed novel. Underneath the surface, there was a truly compelling story about siblings and life after the death of their Mother, back in Casa de Sueños to where they grew up, to say goodbye to it for good. At the start, we see Lucy awaiting the arrival of her brother and sister. It's an anxious wait as she isn't prepared for what this week will play out like. She's the youngest sibling and was probably the closest to her late Mother. Her true motivation for this week is to give her Mother, Hope, the proper send-off she deserves. Jo, her sister and a single mother, isn't sure of it either. But they are honouring their mother's wish that they spend her birthday together there, in southern Spain one last time. For Tom, he's dreading returning to his unconventional, bohemian childhood and just wants it to go without a single thing going wrong. He attends the house with his wife and kids, ready to scatter his mother's ashes and arrange dividing up the money from the house's sale, driven by his wife's demands. During the week, certain true colours come out from the families and characters, also unveiling things their Mother had kept a secret. As the story plays out, they also grow closer than they were before and I loved the character development across the characters that played out truly effortlessly. Overall, House of Dreams was truly a dream read. From the blissful setting to the emotional, powerful plot, I was truly won over by this exceptional five-star read. Fanny Blake has definitely out-done herself, writing what is surely going to be such a hit with Adult Fiction lovers. The book was slow paced, just as a Summer read should be, and portrayed the realness of sibling bonds and saying goodbye in the backdrop of sunny Spain. Chick-lit fans, Adult ficiton and feel good reads. Fanny Blake was a publisher for many years, editing fiction and general non-fiction before becoming a freelance journalist and writer. 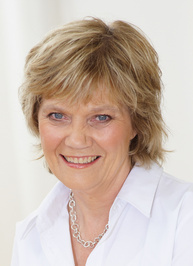 She has written several bestsellers and acted as ghost writer for a number of celebrities. She is also Books Editor of womanandhome magazine. Her novels include The Secrets Women Keep (Orion), With a Friend Like You (Orion) and House of Dreams (Orion). 1. Read, read, read. Don’t just read in the area in which you’re writing. 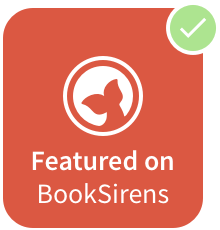 Expand your horizons by seeing how other writers handle different topics and characters. There’s a lot to be learnt from them. 2. Write every day. Whether you write 100 or 1000 words, it doesn’t matter. Writing’s like a muscle. The more you work at it, the more it will develop and the stronger it will get. 5. Show your work to people whose opinions you trust and who will be honest. I try not to show anyone anything until I’ve finished a draft but sometimes I can’t help myself if there’s something I really can’t iron out. 7. Beware adjectives and adverbs. Use them only when essential ie when they add something to the scene. Very often you can show a mood through an action or something said. Eg. Not: ‘Don’t do that,’ he said angrily. But: ‘Don’t do that,’ he said, banging his fist on the table. 8. Before I show a first (or any other) draft of my novel to my agent or publisher, I polish it within an inch of its life. 9. Once I’ve got a draft, I find it helps to change the typeface before I reread it. For some reason it gives me an extra degree of objectivity and I start noticing different things in it. 10. Dialogue – Bad dialogue can really let the novel down. Read it out loud. You may feel an idiot but shut the door and get on with it. It can make all the difference. 11. Don’t listen to anyone who tells you there’s a right or a wrong way to write a novel. 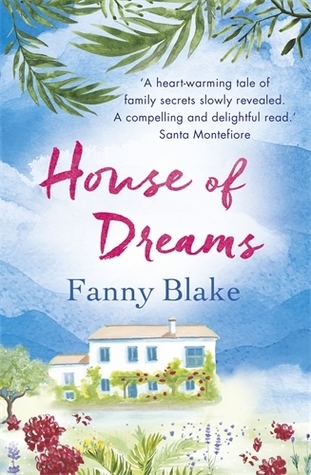 Fanny Blake’s House of Dreams is published by Orion in paperback, £7.99 and is out now! 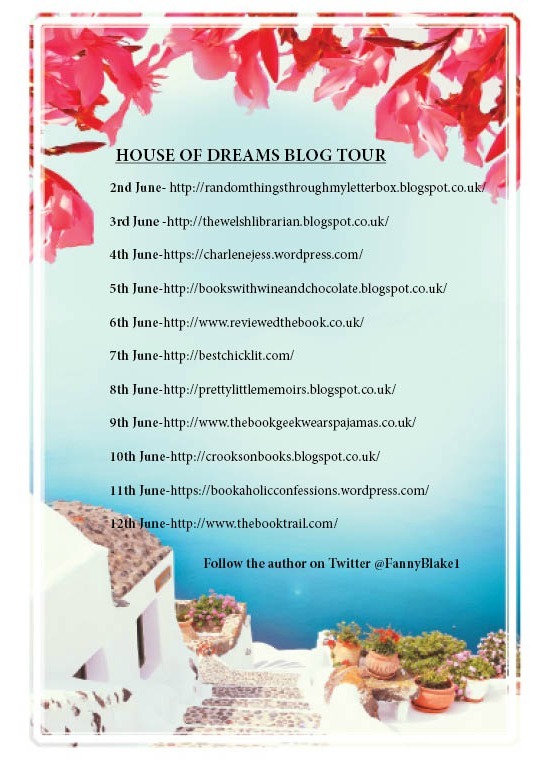 Have you read House of Dreams? What did you think of Fanny's writing tips?